Five years ago, when Jack Geikler and his wife, Pat, moved into independent living accommodations at Kendal at Lexington, Virginia, he was doing his best to care for her. But it was getting harder. The couple had been living with Pat’s worsening dementia for a decade, and she was beginning to wander in their apartment. “I was desperately trying to find an activity for her,” he says. 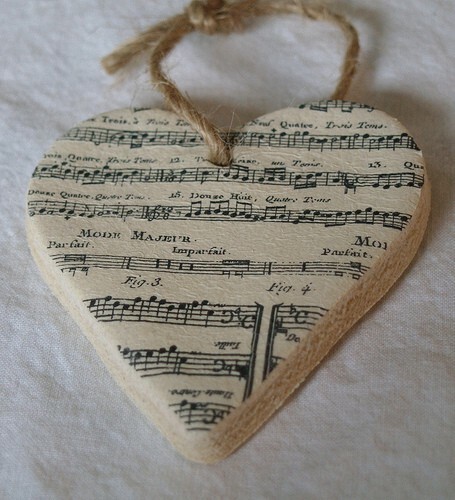 Music had always been a big part of their lives. So Geikler, a former executive at Westinghouse, decided to digitize their CD collection and set up an iPod for Pat that she could listen to with headphones as she moved from room to room. “It has been very useful for a long time, particularly during the later stages of dementia” he says. He’d never heard of MUSIC & MEMORY®. But all that changed when leadership of the Shenandoah Valley continuing care retirement community (CCRC) discovered the power of personalized playlists in 2012. Kendal at Lexington serves 120 residents in independent living, 20 in assisted living and 60 in their skilled nursing facility. Edmonson says about 75 percent of residents in assisted living and the nursing home have mild to severe cognitive issues. With a $5,000 grant from Kendal Charitable Funds, the philanthropic arm of Kendal Corp., the CCRC enrolled in the MUSIC & MEMORY® Certification Program and purchased iPods and headphones for residents—not only for Kendal, but also 20 additional sets for other area nursing homes and a local hospice. Giekler’s wife has since moved into the skilled nursing facility on the Kendal campus. With more free time, now that he’s not a 24/7 caregiver, he maintains Kendal’s 7,000-song music library and sets up personalized playlists—not only for resident with dementia, but also for their caregivers and members of the Alzheimer’s Association-supported Dementia Caregivers Group. Geikler wasn’t the only community member to help out. Board members, staff and other residents all contributed CDs to build the campus’s iTunes library. “We were swamped with music!” says Hotinger. She collaborated with Geikler to load the numerous CDs into the computer, selecting styles of music preferred by the community’s current population. Kendal at Lexington has more than 60 iPods in use, and Geikler keeps the iTunes library and all playlists updated. He’s also created a few special, themed playlists for designated iPods that circulate. A holiday playlist is loaded on a red iPod Shuffle. Another iPod is available with soothing instrumental music. Her belief is underscored by a resident who listens to his iPod every day, without fail. “The music is the best part of Kendal,” he says. When Cindy’s 88-year-old father came to live with her in July 2009, she didn’t know what she was in for. Wrestling with Alzheimer’s and recently widowed, Ralph was recovering from a stroke and struggling to walk. As the seasons changed, he found the weather much colder on Long Island than he was used to in Florida. Everything was new and unfamiliar. Disabled herself, Cindy did her best to manage her dad’s needs. Determined to keep him out of a nursing home, she found him an apartment, took him with her during the day as she ran errands and went to medical appointments, and made his meals. Two years passed, and Ralph’s Alzheimer’s worsened. Cindy knew she needed help. That spring, she read a newspaper interview with Dan Cohen, describing how Music & Memory’s personalized music program was providing huge benefits for nursing home residents with Alzheimer’s and dementia. She called Dan right away and explained her situation. Although Music & Memory does not have the resources to provide individuals with iPods, after Cindy ran into difficulties obtaining one, Dan worked out an arrangement to address her exceptional circumstances. Soon after, Cindy received an iPod Shuffle that Dan had loaded with Ralph’s favorite music—Frank Sinatra, Dean Martin, Tony Bennett. It was a whole new world. Anticipating situations that would make Ralph anxious and aggressive, Cindy now simply placed headphones over his ears and turned on the iPod. “You could always tell when he was listening to Frank Sinatra,” she says. “His hands would go up, like he was conducting. The iPod calmed Ralph when Cindy had to get him up and going for the day, and when they went to the doctor’s. She’d place on his headphones as he rode his stationary bike while she cooked dinner. He’d listen happily to his music, singing in the sun on his apartment’s patio. On Saturday afternoons, she’d set up his iPod as they watched kids playing baseball at a nearby field. When the kids had left, as Ralph continued sitting and listening to his music, Cindy would toss him a Frisbee and he’d throw it back. The iPod also eased a major transition that summer, when Cindy hired round-the-clock aides to help her father. At first, he fought back as the aides tried to get him up for the day. When Cindy set up his iPod, he relaxed and cooperated. As an extra bonus, one of the aides, a young man, also loved Sinatra—and the music took on even more significance as a means of sharing and building trust. Then, that fall, Ralph spiked a bladder infection that triggered heart problems, landing him in the hospital. “He’d try to fight and get out of bed to go to the bathroom,” says Cindy. “He didn’t understand that he had a catheter.” Again, the iPod helped calm him and keep him at rest. Terrified that he’d get up in the middle of the night, fall and break his hip, Cindy made sure to charge Ralph’s iPod, place the headphones on his ears and turn on the music before she left his bedside, often at 2:30 in the morning. Ralph’s health deteriorated, and he died after a month’s stay in the hospital. That was in November, 2011. “We had the iPod for six months,” says Cindy, who now shares her story with anyone she meets who is dealing with a loved one with Alzheimer’s. “I tell people, ‘Give them the music.’ Find out what they loved back in the day. Someone with Alzheimer’s, if you leave them to it, they’ll go into a black hole,” she says. “This isn’t another freakin’ medication. You simply put a headset on them. You put that music on, you see the connections being made. You see life in them. It’s undeniable. Need help bringing personalized music to your loved one living with Alzheimer’s or dementia? Please download Music & Memory’s free guide, How to Create a Personalized Playlist for Your Elder at Home. There’s new hope for anyone with a formal diagnosis of dementia living in the Greater Toronto Area. 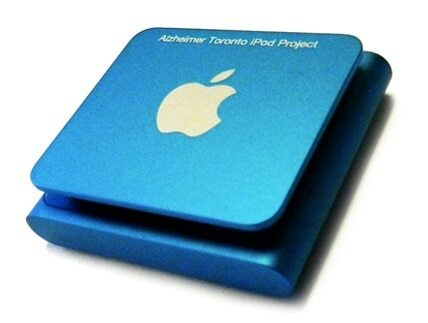 Since January, the Alzheimer Society of Toronto will provide an iPod Shuffle, iTunes credits to download favorite songs, and help for caregivers and family members to bring the benefits of personalized music into their lives. Inspired by a screening last fall of the Music & Memory documentary, Alive Inside, and a presentation by Music & Memory’s Dan Cohen and film director Michael Rossato-Bennett, the Society launched their Music & Memory: iPod Project as part of their Creative Arts Therapy programming. More than 42,000 people with Alzheimer’s and dementia live within the organization’s service area. “The most amazing things have happened,” says Sabrina McCurbin, iPod Project coordinator. Their first request came from the daughter of a woman with Alzheimer’s who became extremely stressed at the doctor’s. After receiving her iPod, loaded with her favorite music, all that changed. Though anyone can pick up an iPod for their loved one and load it with music, the iPod Project offers the iPod Shuffles with free set-up support to tailor playlists, so long as the caregiver or care recipient lives within the Toronto metropolitan area and is willing to accept a call from a Society counselor. Funding for the Toronto project is provided by the George C. Hunt Family Foundation, with guidance from Linsey Norton of the Alzheimer’s Association of Central and Western Kansas, and Dan Cohen, Music & Memory’s Executive Director. Padjen and McCurbin shared their story with Mary Ito on CBC Radio One’s Fresh Air, January 26, 2013. You can listen to the broadcast here. And if you want to learn how to bring the benefits of personalized playlists to a loved one in your own home, please download Music & Memory’s free guide, How to Create a Personalized Playlist for Your Elder at Home. The Alzheimer Society of Toronto’s promise to the more than 42,000 people in Toronto living with Alzheimer’s Disease and other dementias—as well as their families and caregivers: We’re here for you . . . every step of the way. The Society keeps that promise by providing free counseling, support groups, education, resource materials, as well as dementia-care training for health-care providers and increased public awareness of dementia.